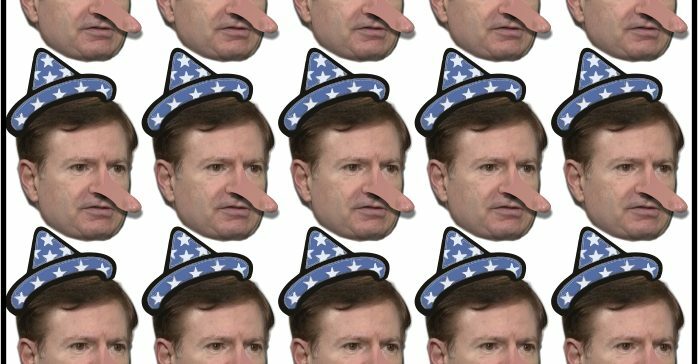 Some Fake News outlets use so-called Fact Checkers, and their job is to award Pinocchios. Ever since Trump began campaigning in 2015, they have been doing this, and have accumulated thousands of pretend Trump Pinocchios in that time. The problem for them is that readers are bored. When presented with Trump’s ‘Five Thousand Lies’ gallimaufry readers yawn and click a different story. Editors are harvesting fewer hits for their ‘lies list’ stories, and have tried to repackage them in a more exciting way. Some of these nincompoops had a meeting and decided that a solution might be to add some new graphics and focus on repeated lies. 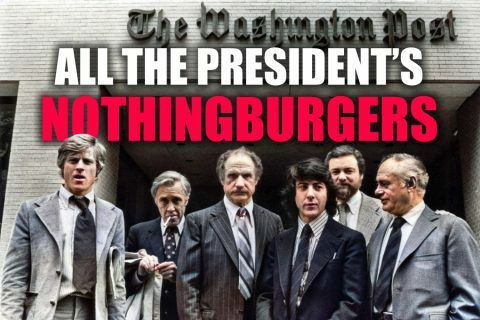 In today’s Washington Post, ‘Fact Checker’ Glen Kessler tried presenting his collection of alleged Trump lies in a simpler, more appealing way. Assisted by his little buddy, Joe Fox, who probably was in charge of the graphics, the two Trump haters set about re-arranging their shop window. They took all the alleged lies and re-arranged them to make a lovely new presentation, hoping it would attract more passersby. New animated graphics show a mountain of Pinocchio heads piled on top of each other, with one head rolling down to rest at the bottom. You are invited to hover your cursor over the pile to read a Trump claim, though when I tried the function failed. You will need to fix that, Joe Fox, and while you are at it, use a pile of Glen Kessler Pinocchio heads instead. Kessler and Fox have assembled a Gish Gallop of Gish Gallops. Their idea of ‘evidence’ is about quantity, not quality. If you can stack up enough allegations the volume proves you right, so never mind their accuracy. You would think that anyone assembling a Gish Gallop of Gish Gallops would put their best examples first. On that basis, we will examine the first lie they list, and if it turns out to be wrong, you may distredgard the rest as worthless junk. Most Gish Gallops are trash since their very existence implies a lack of accuracy. If a particular one was accurate, it could stand on its own. It is because they are all incorrect that they are presented together in the hope that their sheer number will convince readers of their worth. So let us examine the first alleged lie, in the first Gish Gallop..
More than 20 times since he became president, President Trump has claimed that the tax plan under consideration in Congress was the largest tax cut in the history of the United States. He made this claim even before many details were set, but from the beginning it was nonsense. It was so easily debunked that we just tossed it in our ongoing database of false and misleading Trump claims, rather than do a full-fledged fact check. On occasion, the White House has suggested Trump is talking only about the corporate-tax component of the tax plan. But that’s never how the president himself frames it. So we have to examine his claim as he states it. Kessler then measures such tax cuts as a percentage of the national economy and decides that Trump’s tax cut would be about 0.9 percent of GDP, which would be smaller than various other President’s tax cuts over the years. …all tax is paid by Business. This is something Trump understands. It is what private businessmen understand. A liberal reporter with a liberal education will have been taught very little about this. They like to believe that a wage earner’s tax miraculously appears in their pay without coming from the business that employs them. Every cent government needs to exist comes from taxes raised from Business. Without businessmen, there would be no government. Take away business, and there is no tax, which means there is no government. Why did Kessler miss out on this when he studied at Brown and Columbia universities? Probably because their economics lecturers believe that a person earns his wage and thus his taxes are his so you cannot say they came from the employer, which is poppycock. 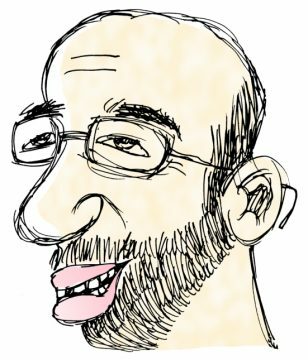 Why did some egghead economist come up with that featherbrained idea? Because the Left hate to admit how much they depend on private enterprise. That would contradict their socialist model, so they avoid affirming such things. In the Union of Soviet Socialist Republics (USSR) business was conducted everywhere, from the black market to the goods imported from elsewhere, and without such business, Communism would have collapsed within a few short years. Whether they avoid it or not, all taxes are paid by industry. Returning to the White House statement that Trump is talking only about the corporate-tax component; the part Glenn Kessler chose to ignore; it is integral to understanding why it will be the most significant tax cut. Since Glenn’s first example is wrong, and since Trump was correct all 123 times, we cannot trust the other Gish Gallops Glenn provides. Do us this favor Glenn – go and find one genuine lie, not ten thousand, which Trump supposedly told. I have examined all the alleged ones and found none to be true. None stand up to examination. So forget Gish Gallops. You and Joe find one true deception, and provide real evidence to back it up. Publish that. You will find that you cannot, for a simple reason. 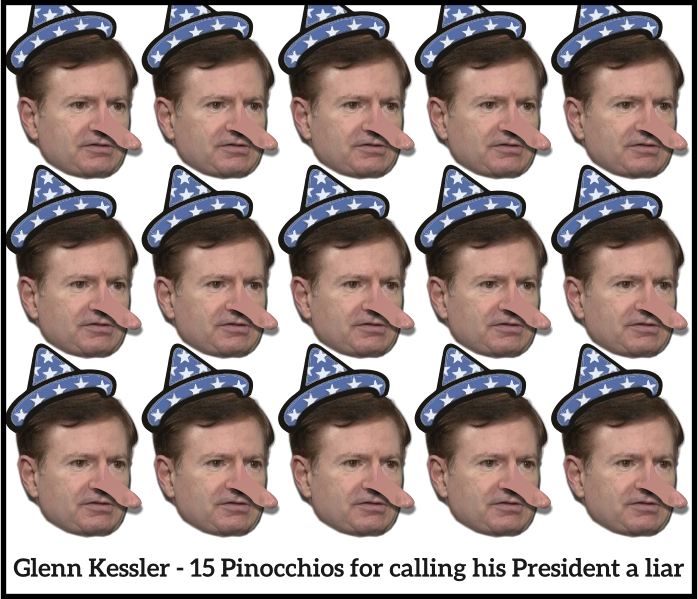 Without further ado, we would like to award Glenn Kessler 15 Pinocchios, for calling his President a liar so many times.